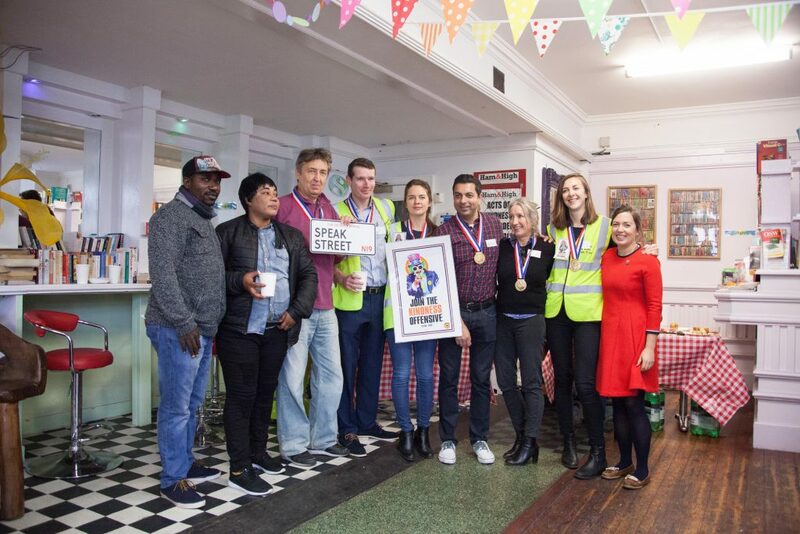 Speak Street celebrates it’s 2nd Birthday! We are happy to say we celebrated our 2nd Birthday on Thursday November 24th 2016 in traditional Speak Street Style! 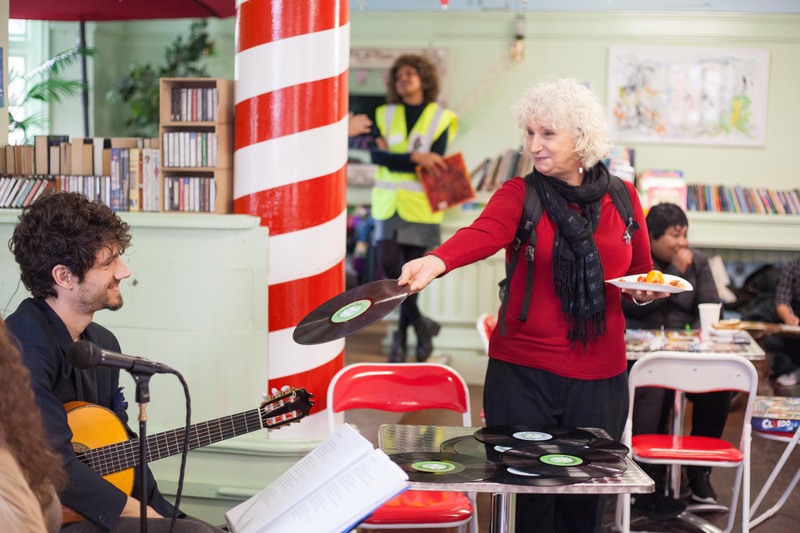 We had a musical human Juke Box thanks to Adrian Sola and Virtudes Moreno. 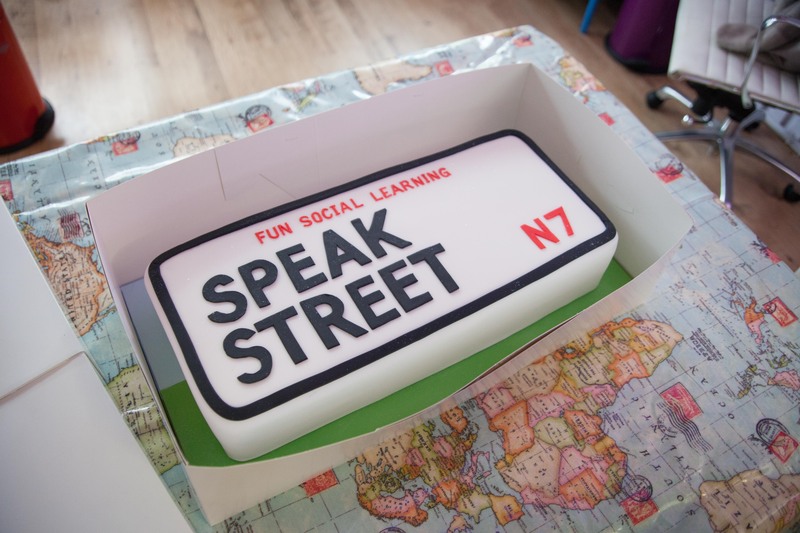 We ate a delicious Speak Street themed cake all in the comfort of The Kindness Offensive Free Bookshop! A big thank you to all the session volunteers and to photographers Paul Fuller and Lucy Jarvis who captured the event. 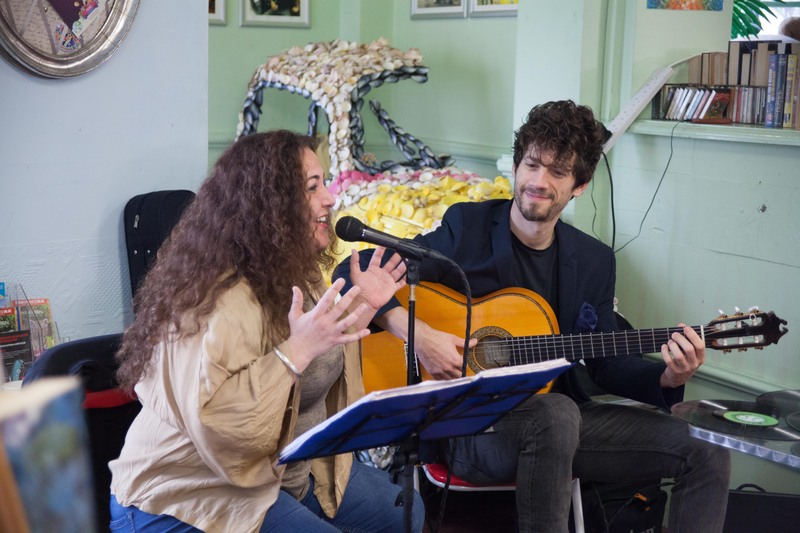 We were featured in the Islington Tribune check out the full article here.